Choose from 0 boats in Ibiza. Oops, based on your requests, our system cannot find the yacht charter you are looking for. However, please contact one of our Holiday Planning Experts for a free, customised offer that will best fit your boat holiday needs. Step onto to the third-largest Balearic Island - Ibiza - and enjoy beautiful sun-drenched days on the beach and in the pristine Mediterranean waters. Then as the sun sets and the techno beats rise, stroll into one of the many discos dotted around Ibiza town and Sant Antoni. Ibiza has made a reputation for itself as one of the top places to party in Europe and one of the best sailing destinations in Spain for good reason. And if incredible weather and a buzzing nightlife aren’t enough reasons for you to rent a boat in Ibiza, this island has much more up its sleeve. There is a long list of things to discover from the quaint little villages hidden in the pine-covered hills to secluded private coves with turquoise waters that can only be seen if you charter a yacht in Spain. Plus, as an island off the coast of Spain, the traditional Balearic foods are rich and enticing. The cuisine alone is a spectacular reason to make your next boat holiday in Ibiza. 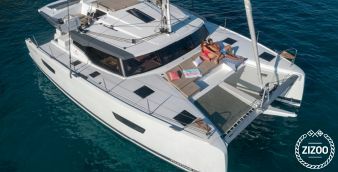 Renting a catamaran in Ibiza: If you like comfort, stability and a lot of storage space then you should rent a catamaran in Ibiza. Rent a Sailboat in Ibiza: Would you like to have an authentic nautical experience? Then you should rent a sailboat in Ibiza. The wind conditions and the calm waters invite you to do so. 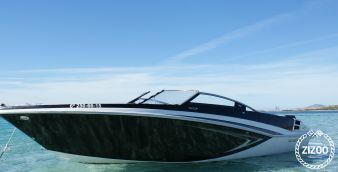 Rent a motorboat in Ibiza: Whether you are traveling with your family or your friends, a motorboat in Ibiza offers the horsepower and comfort to explore the secluded coves and beautiful coastline to the fullest. Rent a luxury yacht on Ibiza: Congratulations! You have found the perfect island for renting a luxury yacht. The marinas are perfectly geared to super and mega yachts. And who does not want to enjoy the sun on a huge deck? About: Marina Botafoch is the marina you go to be seen. It is the premiere, upmarket marina in Ibiza that houses beautiful luxury yachts rentals in the summer and has a wide range of top quality restaurants, cafes, and boutiques. Location: It is located on the north side of the Port of Ibiza making it very easy to reach the historical center of Ibiza Town. Services: It has a comprehensive range of nautical and commercial services with a full range of shipyard and maintenance facilities. The marina has 428 berths from 6m to 30m. About: Marina Magna is another luxury marina. It was built to accommodate the newest breed of superyachts and other luxury boat rentals. With this level of excellence, they also have a prestigious club. This venue is a great option for socializing with some of the top-tier guests on the island. Location: Marina Magna has a great location right at the foot of the Old Town in Ibiza with some stunning views of the Mediterranean sea. Services: They have an extensive range of nautical service and offers 85 moorings for yachts at a maximum length of 60m and a maximum depth of 10m. 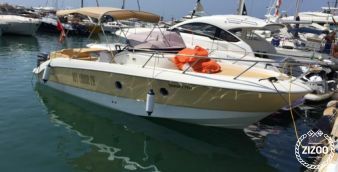 Be aware, the rates are elevated during the high season even for any boat hire in Ibiza. For yachts up to 30m, rates are around 317€ per day and yachts up to 60m around 2,800€ per day. About: This port has a wide range of things to do. There is a big selection of bars, restaurants, and shops inside its large commercial center. Location: Puerto de Santa Eulalia is in a beautiful location a mere 15 km from Ibiza Town. 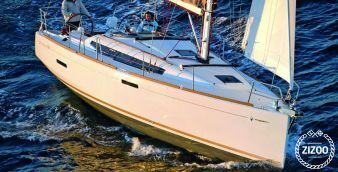 Services: You can find all the most important nautical services here. With 772 berths, the marina can accommodate boats from 6m up to 22m long. About: Club Nàutic Sant Antoni is set with beautiful surrounds and is in an extremely convenient location. It offers a warm welcome to Sant Antoni since it is just a few minutes walk away. Location: Just a few minutes on foot to Sant Antoni. Services: There are 250 berths that can accommodate yachts up to 30m long and at depth of 5m. The marina has a wide range of maintenance services including laundry and some berths have direct fuel access. About: Marina Ibiza has been one of the most prestigious marinas in all of Europe for some time. Being part of the unique lifestyle they have created is a big reason so many continually go back to Ibiza each season. Location: Northeast from Ibiza town. Services: This marina has the most advanced technical and nautical services. It offers berths for superyachts up to 60m and even megayachts at greater lengths. Of courses, you’ll also find Wifi, electricity, concierge service, laundry, and much more maintenance services. Get ready for the ultimate list for your yacht charter in Ibiza. Anyone planning to go on a boating holiday in Ibiza has a lot to look forward to because this island offers some great destinations and attractions. ✔ Boat rental in Ibiza and sailing around the Balearic Islands: Discover the rest of the Balearic Islands such as Mallorca, Menorca, Formentera, and Cabrera. ✔ Visit the uninhabited Es Vedra rock island in southwest Ibiza. Island Hopping from Ibiza: How about the island of Conejera, Espardell, Tagomago, Espalmador or Vedra? Take advantage of our boat rental in Ibiza and off you go. ✔ Find the most beautiful beaches, such as the Cala Comte. This is considered the best beach on Ibiza. ✔ Want to experience the ultimate sailing trip? Start your yacht charter from Ibiza and then you can drive to Barcelona. This route will take you along beautiful coastlines like the Costa Brava and Costa Blanca. Then make a stopover in Sitges. It can not be better than this. ✔ Have you tried a cabin charter? This is a great opportunity to meet new people and explore Ibiza together. ✔ Use your yacht charter in Ibiza for a snorkel or scuba dive. Immerse yourself in the crystal-clear water and an incredible underwater world filled with a variety of coral and fish. ✔ Ibiza also is famous for its many water sports. If you rent a boat in Ibiza, you’ll be able to enjoy water sports like water skiing or parasailing. Ibiza also has come great locations to go surfing. Playa d’en Bossa is just south of Ibiza town and boasts the longest beach on the island. Obviously with this comes a thriving nightlife. You can find any restaurant and bar to suit your needs including the world famous open-air venue, Ushuaïa, and the newest club on the island, Hï Ibiza. Consider hiring a catamaran in Ibiza as a great way to really impress beachgoers. San Antonio is on the west coast of Ibiza island and is where you will find the world famous Sunset Strip. There is a very lively town center with a myriad of bars and nightclubs. During the day, you can easily find open-air clubbing at a poolside or go to a popular beach club like O Beach Ibiza or Ibiza Rocks Hotel. Ibiza Town is definitely a top party destination so, naturally, there are countless bars, restaurants, clubs, and shops for its very diverse and international crowd to enjoy. Plus, it is set in a historical setting giving it a particular charm. Check out the famous super-club, Pacha, just a short walk away from the center. Book your spring or summer Ibiza yacht charter today! Ibiza is one of Europe’s most popular destinations to experience a fun and party island lifestyle. However, this Mediterranean jewel offers much more. With consistently beautiful weather, stunning scenery, and delicious cuisine, sailing holidays in Ibiza should happen time and time again. Whether you prefer a bareboat rental in Ibiza or desire a crewed yacht charter, Zizoo has the perfect boat for your holiday. Contact our team of boat holiday experts or book your boat or yacht charter instantly online for an unforgettable vacation.